Not that I am using maverick to associate the movie with the new newly released beta OS from Apple... but 300: Rise Of An Empire just unveiled a new poster, still featuring Themistokles as he stands at the edge of a raging sea. In less than a year from now, this much-anticipated sequel to 300 (directed by Man of Steel's Zack Snyder) will finally grace the wide screen. Will this sequel live up to the hype created by it's predecessor? Will it match, if not overcome, the fame the latter achieved? Can't wait to find out the answers to these questions as well. "Walking the line between savvy statesman and battle-hardened soldier, this Greek general has no illusions about what motivates men, kings or gods. He knows well how the game is played. A master strategist, Themistokles holds an unflinching vision for the glory of Greece and will do whatever it takes to realize that vision—whether leading the charge on the battlefield or subtly working his influence behind the scenes. Now, facing the onslaught of the massive Persian navy, he may be outnumbered but not out-maneuvered. Knowing there's more at stake here than his life and the lives of his men, he will gamble everything on a daring plan that could seal the fate of Greece and the future of democracy. Sullivan Stapleton takes on the nuanced role and describes Themistokles as a "people person," just one of the many facets that make up this richly developed character—a man of wit and persuasive charm, as well as steely determination." 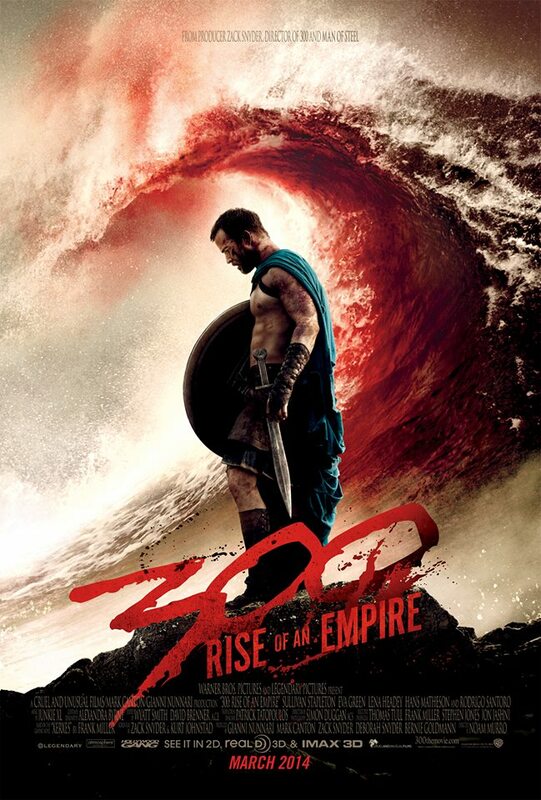 300: Rise of an Empire, directed by Noam Murro, will hit theaters on March 7, 2014. * From the movie's official website.